September is a time of year filled with such hope and change. School is getting underway; leaves are beginning to turn. September is also a month that calls us forth into action. We have enjoyed the long lazy days of summer, and now it is time to get back to work. Action and change both start when we become aware that something needs to shift. To be made different or better. Awareness is the key to getting the ball rolling. Today, I am writing to make you aware of something you may have heard about – September is Pediatric Cancer Awareness month. We have all seen the billboards with the adorable child, and our hearts go out to them immediately. How could this happen to a child? It seems distant, impossible…until it happens to your child. Our two-year-old daughter, Sophia, started to become increasingly lethargic in September 2014, but she had just started preschool. We chalked it up to adjusting to a new routine. In December, we all had the flu, but she had it worse than the rest of us. Sophia endured four rounds of it and became very thin. Her doctor said she would bounce back. Just give it time. By January, we were so worried. She began to walk like a woman with brittle bone disease, very slow and tentative, but it was snowy and icy. We thought she was being cautious. Then, on January 20, Sophia’s eyes began to shake, and she became incontinent. We rushed her to the ER where we thought they may need to give her a feeding tube. Instead, they immediately took her for a CT scan. No parent should have to receive this news. No doctor should have to give it. But, every two minutes, a child is diagnosed with cancer, and that is just the beginning. People hear the news and respond immediately – “She will beat this!” That message is dear and necessary. But, despite every one of these children and their families fighting with every ounce of their being, the sad truth is 50 percent of children diagnosed with a brain tumor will NOT survive. Let that sink in – half of the children will not live. Since 1980, there have only been three new drugs developed for children and 900 for adults. Only one of those treats brain tumors. Pediatric cancers are not mini-adult cancers; they behave very differently. Despite that, children are treated with antiquated regimens, developed for very different purposes. For example, our daughter just finished 52 weeks of a chemo drug, Vinblastine, that was developed in 1958 to treat adult lymphoma. Next week, she has another MRI to determine if her tumor is stable. 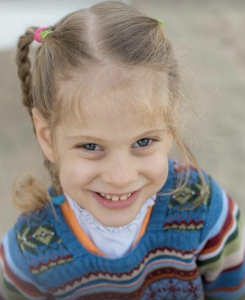 Since her tumor is inoperable due to location, she will have to be monitored every three months to assess her tumor. We are HOPE-FULL that she and her body will get a much-deserved break. Survival is one step. Thriving is the goal. Another horrifying fact of pediatric cancer are the long term effects caused by the very treatment meant to save these children. More than 95 percent of childhood cancer survivors will have a significant health related issue by the time they are 45 years of age. One of the worst – being diagnosed with a secondary cancer, caused by the treatment that saved them from the primary diagnosis! We are forever grateful to all who have partnered with us on this journey. Their tireless work to change the outcomes from these horrible diseases lifts us all. It takes special people, like you, to make a real difference. One such organization is Cal’s Angels. Their mission is to wage W.A.R. on behalf of children with cancer. W.A.R. stands for Wishes, Awareness and Research. We had been familiar with this organization through their monthly parties on the cancer floor of Lurie hospital. They bring joy to the day for the kids and an ear for us parents, as many of the volunteers are cancer parents themselves. This year, we have been paired with one of their very special board members, Theoni Limouris, as she conquers the Chicago Marathon. Theoni does not consider herself a runner, but she has made this commitment to raise awareness and funds through the journey of her training. She and Sophia have formed a special bond and it is a joy to partner with her! You can make a difference too! Share the knowledge you have learned from these shocking statistics. 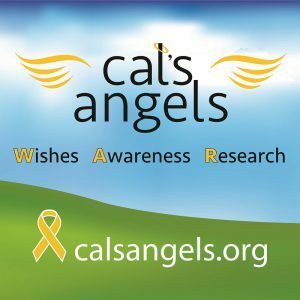 Donate to a reputable organization that is working to turn the tide for these kids, like Cal’s Angels. This is a difficult topic to learn about and something I hope you never experience firsthand. The way to ensure this is to use your newfound awareness and let it spur you to action that can bring about meaningful change for children. 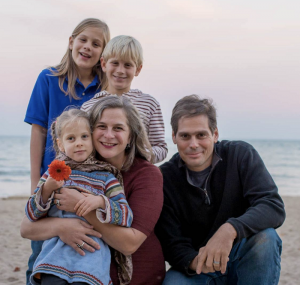 The Medix Team is grateful to Sarah and Cal’s Angels for sharing this story. Please lock arms with us in spreading awareness about pediatric cancer through leaving a comment of well wishes to Sophia or sharing this post with your friends, family and network. This entry was posted in Positively Impacting Lives and tagged cancer, Clinical Research, healthcare, pediatric cancer, pediatric cancer awareness month, positive impact, Positively Impacting Lives. Bookmark the permalink.